Unless otherwise noted, all photos have been taken with a Vixen 8" f/4 Newtonian on a Super Polaris Mount, either with a piggybacked camera or through the main telescope. For visual observing, I also use a 14.5" f/5 Starsplitter Dobsonian. 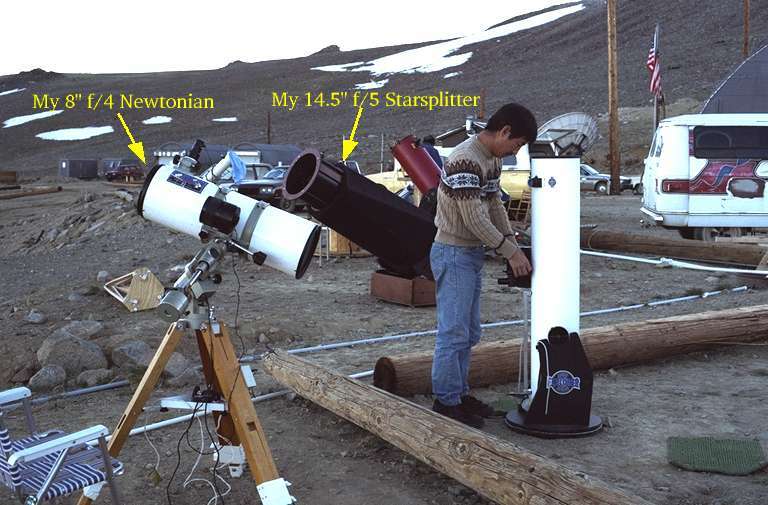 The photo was taken at the White Mountain Research Station (elevation 3750 m) in California during the 1997 star party organized by the Tri-Valley Stargazers.